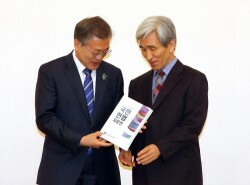 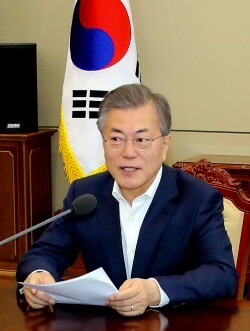 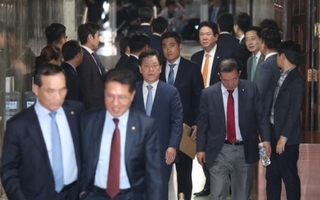 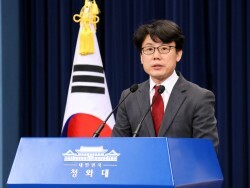 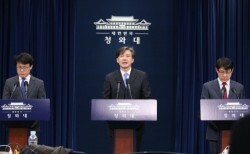 By AsiaToday reporter Son Ji-eun President Moon Jae-in will submit a proposal for constitutional amendment next Monday. 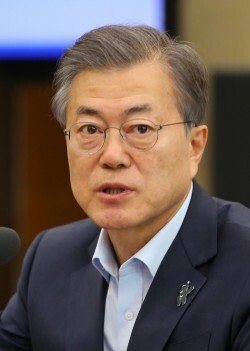 The president instructed his govern..
By AsiaToday reporter Joo Sung-sik President Moon Jae-in reaffirmed his efforts to revise the country's Constitution, stressing the need of a vote on const..
By AsiaToday reporter Son Ji-eun President Moon Jae-in called for national efforts Monday to successfully hold the inter-Korean talks in April and the Nort..
By AsiaToday reporters Heo Go-woon & Joo Sung-sik The situation of the Korean Peninsula is undergoing a sudden change. 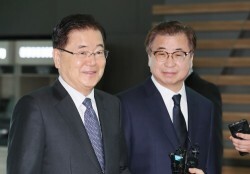 Until the PyeongChang Olympic Ga..
By AsiaToday reporter Son Ji-eun Chung Eui-yong, head of the National Security Office, and Suh Hoon, chief of the National Intelligence Service, embarked o..
By AsiaToday reporter Joo Sung-sik President Moon Jae-in on Wednesday stressed cooperation of the political parties to foster inter-Korean relations, North..